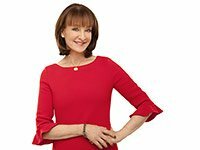 Head and neck surgeon Nancy Snyderman, M.D., is the chief medical editor for NBC News — and AARP The Magazine's newest columnist! En español l Every doctor goes through a transformation from physician to healer. In medical school, we memorize and regurgitate information; as interns and residents, we strain to learn every new procedure. As young doctors, we keep patients at arm's length and try simply to cure them. We can't know then what we will come to realize later in life — that our professors are just laying the brickwork, and that our real teachers are our patients. One such patient, Lindsay Nohr, will always stand out in my mind, not only because of her circumstances, but because she forever changed the way I practice medicine. The year was 1999, and I was well into my career as a head and neck surgeon in San Francisco. When Lindsay first walked into my medical practice, I was immediately struck by her beauty — she was athletic, with porcelain skin and fierce, bright eyes. She also had a lump on the right side of her tongue, and unlike a canker sore or an accidental bite, it wasn't going away. This is never a good sign, but in a young person — Lindsay was 22 at the time — a cancer of the tongue can be a death sentence. As it turned out, Lindsay indeed had tongue cancer, and I knew she was going to need surgery, radiation treatments and most likely chemotherapy. None comes without a significant downside. Take out too little of the tongue and the cancer recurs. Take out too much and a person will never speak normally again. Radiation kills cancer cells, but it kills normal cells, too, and that meant Lindsay's flawless skin was going to become fire-poker red and be painful to the touch. Most likely, chemotherapy would bring on nausea and vomiting, cause her hair to fall out and make her feel like hell. These doctors are transforming medicine. Is yours keeping up? Lindsay sat in stunned silence for a few seconds, then turned and asked me a question I wasn't expecting: "Will any of this interfere with my chances of having a family later?" Having a family? Had she been listening? She was unmarried, was facing a formidable challenge, and she didn't know what I knew. The week before we met, a report in a medical journal had addressed the dismal survival rates for young people with mouth and tongue cancer who didn't have any other cancer risks. The journal could just as well have had Lindsay's picture on the cover. I looked directly into her eyes and said firmly: "Lindsay, I'm not concerned about the fact that you might want to have a baby in five years. I'm worried that you might not be here in five years." After helping her get a second opinion at one of the country's most respected cancer centers, I thought I'd never see Lindsay again. But she called several days later, crying, wanting to come home and begin the first step on her journey: aggressive radiation therapy. Although the treatment worked for a while, the cancer returned in her neck, requiring surgery, more radiation and, then, the dreaded chemotherapy. What happened in the many weeks that followed turned my attitude about my patients — and this patient in particular — on its head. Lindsay refused the chemotherapy until she had answers about its impact on her ability to have children. And those answers were hard to get. She met with a medical oncologist, but he knew little beyond the fact that chemo can damage ovaries. She also met with fertility experts but found they knew little about cancer treatment. The gulf between the academic towers was broad and deep, and Lindsay realized she was not the first patient to fall through the cracks. In that moment Lindsay began her one-woman crusade to get doctors and researchers to talk to one another, with a single-minded focus on addressing the fertility concerns of cancer patients. As her doctor, all I could do was watch in amazement as this young woman began to take on the medical establishment, and to teach all of us that a cancer diagnosis can sometimes be just a speed bump in life — that it should not define a person or her future. Lindsay decided to freeze her eggs, and only then did she proceed with the chemotherapy. That was more than 10 years, one husband and three stunningly beautiful children ago. She was a crusader who listened to those around her, decided what she would and would not accept as scientific dogma, and literally revolutionized two fields — oncology and infertility. For me, the lessons were profound and humbling. Lindsay changed who I am as a doctor. She taught me to listen to my patients and that no matter how young or old, every patient has a voice and deserves to be heard. And sometimes the patient — whether on the cusp of life or in its twilight — sees a future that the doctor hasn't even contemplated. I'm thinking now of Martha, a 50-something attorney who lived for the courtroom. She also had cancer of the tongue and told me that if I couldn't preserve her speech and get her arguing cases again, she wouldn't have a life. She forced me to do one of the most creative surgeries I've ever done, and still get the cancer out. At that point I realized that my patients had the power to stretch not just my thinking, but the very way I work. To this day, Lindsay and I stay in touch. And I get to see her every day in a gorgeous black-and-white photo that sits on my desk. People who look at the picture, taken on her wedding day in 2004, always ask, "Is this your daughter?" And I always smile and say yes ... and more. Nancy L. Snyderman, M.D., is a head and neck surgeon, and chief medical editor for NBC News. She has written four books, including Dr. Nancy Snyderman’s Guide to Good Health for Women Over Forty.